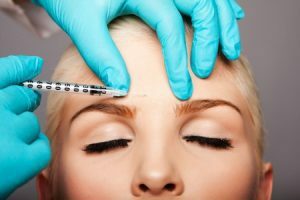 How Much Compensation For A Botox Injury or Negligence? If you have had Botox and it has gone wrong, you may be entitled to compensation. We all expect to be delighted with the results after having Botox. However, it can feel like you are living in a nightmare if you are the victim of botched Botox. If this is something that has happened to you, we can ensure you get the payout you deserve for the pain and suffering you have experienced. A guide to accident claims for Botox injuries. What to do if you are involved in botched Botox causing injury. How to begin a Botox injury claim. Can I claim if I am unhappy with my Botox results? What can be claimed after an accident causing a Botox injury. Common places people get Botox. The most common types of Botox injuries. How much compensation will I get after a Botox injury? No Win No Fee leg injury claims. Why choose us your claims service for a Botox injury claim? Botox is one of the most popular non-surgical cosmetic treatments in the UK. Every year, thousands of people get this treatment for the purpose of achieving tighter and wrinkle-free skin. As is the case with all types of procedures, there are risks that every patient needs to be aware of. Nevertheless, if you have suffered a Botox injury and it was not your fault, there is a very high chance that you will be able to claim Botox compensation for your suffering. This is something we can help you to do. Our team has plenty of experience in helping personal injury victims to get the full amount of compensation they deserve. But, before we take your call, why not read on to find out everything you need to know about Botox injury claims? You will find information on everything from eligibility to average compensation amounts. century. Initially, Botox was used to treat cervical dystonia, i.e. a wryneck, as well as blepharospasm, which is when people cannot move their eyelids in specific ways, and strabismus, which is the term for a lazy eye. However, this changed in 2002, when it started to become a popular cosmetic treatment for relaxing and improving frown lines in between the eyes. Over the years, there have been many developments in terms of what Botox can be used for. In 2004, it became approved as a treatment for hyperhidrosis, which is excess sweating. And, as of 2010, it is an approved treatment for migraine headaches. If you take a look on the Internet, you will find a lot of myths and misinformation regarding Botox. One of the most common misconceptions is that the muscles in the face are paralysed during Botox. If you go to a reputable physician, this won’t be the case. That only happens when someone has had excessive amounts of Botox injected into them. This highlights why it is so important to choose a physician with care, as they will ensure the perfect amount is injected. Botox has become very popular over the past decade or so. Once considered a treatment simply for aging women, research indicates that thousands of men are now having Botox per year too. Not only this, but more people in their 20’s are having Botox too. This is evident from the statistics, as there were more than 6.7 million Botox procedures performed around the world in 2015. Medical report – This is something your doctor will put together, which is why it is so important to see an expert medical professional if you are suffering an adverse affect to your Botox treatment. Not only will they ensure that you get the treatment you require, but also they will put together a medical report. This will be used to determine how much compensation you will receive. If this is something you are yet to do, don’t panic; simply give us a call and we would be more than happy to arrange a local medical for you. Witness contact information – It is very unlikely that someone would have been in the room with you while you were getting Botox. However, if there was, or you brought a friend or family member with you, make sure you have their contact information. Witness statements can really help to strengthen your cause. Take photographs – Bad Botox pictures are probably the last thing that you want to concern yourself with right now. However, botched Botox photos really help to strengthen your case. Keep proof of expenses – If you have encountered any out of pocket expenses because of the injury you sustained, you will be able to claim for these as special damages. Common examples include travel costs, prescription expenses, loss of income, childcare costs, and the cost of counselling. You will be able to claim for all of these, but you are going to need proof, and so it is important to keep your receipts and anything else that can back up your claim. No matter whether you have been injured due to Botox poison or too much Botox in forehead, it is important that you get the compensation you deserve. This is something we have made as easy as possible here. All you need to do is give us a call and we will get started as soon as possible. When you call us, you will speak to a member of our professional and friendly team. Not only will they answer all of your questions, but also they will conduct a free fact-finding session. This is nothing to worry about. We simply want to know the ins and outs of what has happened so that we can give you the best advice and ensure we have the best chance of securing the highest amount of compensation for you. As mentioned earlier, one of the most crucial pieces of evidence you will require is a professional medical report. If you are yet to see a doctor or medical professional, this is something we can arrange on your behalf at a local medical centre if required. Now that you are aware of what the Botox meaning is and what it is used for, you may be intrigued to know how Botox is administered. Botox injections should only be given by a medical professional that has the necessary training. No doubt, a lot of the Botox gone wrong before and after photographs have occurred because someone with the unnecessary training has taken over. A nurse, doctor or healthcare professional will inject Botox into a muscle. They will strategically place the injections for the best results. This is not a permanent solution, so it is advisable to go back every few months. Depending on the conditions that are being treated, you may receive Botox in more than one area at any time. Botox gone wrong forehead could mean one thing to you, and one thing to another person. You may be unhappy because your face is swollen and you are suffering headaches because the Botox has not been administered properly. Someone else may be unhappy simply because they don’t like the results or feel that they have not made a noticeable difference. You can claim if you are unhappy with your results due to medical negligence. However, you cannot claim if you simply expected to look better after the treatment. General damages – General damages are designed to compensate you for the pain and suffering you have experienced. Care claim – If you have required help around the house, the person who has cared for you can file a claim. No matter whereabouts Botox has been injected, or what clinic you have visited for Botox, if the physician has been negligent, we can help you to get the full amount of compensation you deserve. Temporary droopiness and weakness of your facial features. If you take a look on the Internet, you will often see Botox gone wrong pictures accompanied with a compensation calculator, informing you of how much money you could receive if you have experienced botched Botox. It is important to note that these compensation calculators only give you a rough estimate of the amount of money you could receive. It is impossible to give an accurate figure. This is because every case is different, and there are many different variables involved. With that in mind, in the table below you will be able to see the average payouts for a number of injuries that are common amongst those that have a Botox injury. If you cannot find the injury you have sustained, please do not hesitate to get in touch and we would be more than happy to assist. Pain and suffering £1,000 - £200,000 The level of suffering and pain you have experienced will determine how much money you receive. Loss of benefits £5,000 - £500,000 The amount of money you receive is calculated based on the actual income you have lost. In some cases, there is the chance of a payout higher than the maximum. Mental anguish £3,550 Expectation of end of life and fear of death. Loss of anticipated earnings £10,000 - £400,000 You can also claim for the income you will lose in the future. This is based on your current rate of pay, as well as your future prospects. In some cases, clients get paid out more than the maximum. Severe psychiatric damage £41,675 - £88,000 In severe cases, the individual will have a very poor prognosis and they will have marked problems with regards to future vulnerability, coping with life and work, and relationships with family and friends. Moderately severe psychiatric damage £14,500 - £41,675 The difference between severe and moderately psychiatric damage is that the prognosis will be more optimistic for this bracket. Moderate psychiatric damage £4,450 - £14,500 Cases of moderate psychiatric damage relate to those whereby the prognosis is good and there is marked improvement by the trial. Less severe psychiatric damage £1,170 - £4,450 Cases falling short of a specific disorder or phobia tend to fall into this category. The level of award depends on the extent to which sleep and daily activities were affected, as well as the length of the period of disability. Loss of sight in one eye, and reduced vision in the other eye £48,600 - £136,700 Higher payout is where further deterioration in the remaining eye is a severe risk. Total loss of one eye £41,675 - £50,000 Cosmetic effect and the age of the patient will determine the level of award. Complete loss of sight in one eye £6,925 - £41,675 The higher payout is for cases where significant scarring is present. Minor eye injuries £3,000 - £6,650 Minor injuries include the likes of being splashed in the face by liquids, being struck in the eye, and exposure to smoke and other fumes. Transient eye injuries £1,675 - £3,000 If you have fully required within a few weeks, you fall into this bracket. Paraplegia £166,500 - £216,000 The amount of compensation awarded is based on age and life expectancy, depression, the degree of independence, and the extent and presence of pain. Facial disfigurement - Trivial scarring in males £1,300 - £2,675 This is for cases where the effect is only minor. Facial disfigurement - Less significant scarring in males £3,000 - £6,925 Scarring will only be prominent on close inspection. Facial disfigurement - Significant scarring in males £6,925 - £13,650 At conversational distances, scars will be visible. Facial disfigurement - Less severe scarring in males £13,650 - £22,875 Moderate to severe permanent disfigurement. Facial disfigurement - Very severe scarring in males £22,625 - £50,000 A considerable element of psychological reaction will be present, and there will be permanent disfigurement, even after plastic surgery. Facial disfigurement - Trivial scarring in females £1,300 - £2,675 This is for cases where the effect is only minor. Facial disfigurement - Less significant scarring in females £30,000 - £10,450 There will be a number of small scars, or there will be one scar, which can be camouflaged. 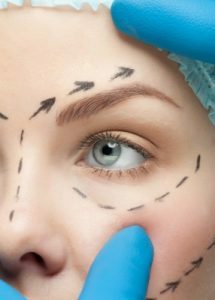 Facial disfigurement - Significant scarring in females £13,650 - £22,875 Plastic surgery will have reduced the worst effects, but there will be some cosmetic disability, as well as psychological reaction. Facial disfigurement - Less severe scarring in females £23,000 - £36,800 This is for cases whereby the disfigurement is substantial enough to result in a substantial psychological reaction. Facial disfigurement - Very severe scarring in females £36,800 - £74,000 This is for cases whereby there is a severe psychological reaction and the cosmetic effect is very disfiguring. There are many reasons why you should consider using our service if you want to make a Botox pain after injection claim, or any other type of claim relating to botched Botox injections. However, one of the main reasons is the fact that all of our solicitors work on a no-win, no-fee basis. This means that you will not require a large upfront sum to get started with your claim. Not only this, but you are only going to need compensation if your case is a success. If, for some reason, we cannot manage to secure compensation for you, you will have no legal fees to pay. This offers you a significant degree of monetary protection. It means that you are never going to find yourself in the dreaded position whereby you have a huge legal bill to pay yet you don’t have any compensation. This happens when going for a solicitor that charges per-hour, which is No Win No Fee is a must. It also gives you the peace of mind that we won’t waste your time; we only take on cases that we believe have a genuine chance of success. If you want to make a Botox injury claim, we are the best personal injury law firm for the job. Not only do we have an abundance of experience in the industry, but we also have an exceptional reputation to back it up. You only need to see what our previous clients have had to say to see that this is the case. Aside from drawing on our years of experience to build the best case for you, we also operate with a customer-centric approach. This means that you are at the heart of everything we do. We genuinely care about securing compensation for you, and we know that you are probably going through a horrific time right now. The only thing we want to do is help you as much as we can. We won’t add to the stresses and strains you are experiencing; we will go about securing compensation for you in the most efficient manner. We want your sole focus to be on resting and getting better, so let us take care of the financial side of things for you. If you have been the victim of medical negligence and suffered botched up Botox as a result, you should give us a call today to get started with making a claim. The number you need is 0800 073 8804. You will speak to a professional and friendly member of our team, who will be more than happy to assist you in any manner they can. They will answer all of your queries, and they will talk you through the claim process that is entailed. We won’t simply get you to fill in a Botox claim form and then leave you to it. We want you to feel as comfortable as possible when using our service, and this begins from the moment you give us a call, so don’t hesitate to get in touch. This link takes you to the NHS page for Botox injections. It is beneficial because it informs you of the procedure entailed, as well as discussing the risks and advising you on what to do if you have had any problems. If you are a victim of medical negligence due to botched botox find out how much compensation you could claim contact us for specialist advice. How Much Compensation Can I Claim For Cosmetic Surgery Claims? Find out how much compensation you can claim for negligent cosmetic surgery contact us for free advice.